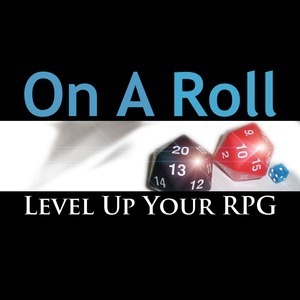 As many of you know, our podcast actually began with my book, On A Roll: Level Up Your RPG, which I wrote and published a few years ago after a successful Kickstarter campaign. Much of the impetus of the book surrounded the idea that every player and storyteller has different, unique experiences that we can all learn from, and yet, we tend to be unreceptive to advice and input from others. As storytellers, whether it is online or in person, many of us believe that no one can run our game for our group better than we can. I sell copies of the book in vendor halls at various conventions and shows, and several times each day, someone looks at the book and notes, "I could have written that. But, one of my friends could really use it." It's the followed by the person regaling me with tales of their greatest character moment or a summary of the best adventure they ever ran. By the time it's over and they leave the table, it's clear they believe my book is of no use to them because they are already operating at their best. Generally speaking, I have come to recognize that the first indication a gamer could use the advice in the book is that they believe they have no need for it. This past weekend, a young man named Clayton and his friend came by my table. 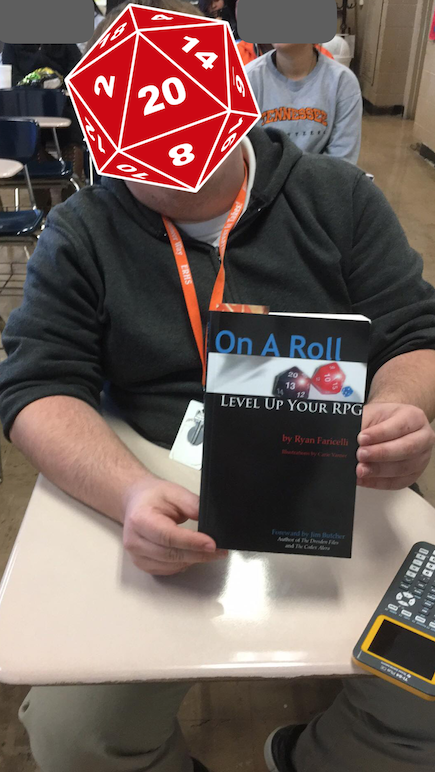 Clayton was quite excited to learn about the book, and his response to learning about it was to pull me aside and share with me in excited, hushed tones, his brilliant tactic for running a great game with his friends. It doesn't matter if I thought the idea was brilliant because his players love it – that's the truest measure of whether a game is great. Hearing his story and seeing the agreeing looks of happiness on his friend's face, there was little doubt that no one could run that group's game better than Clayton. A few hours later, Clayton returned to the table with his mother and he got the book. I have a dear friend who is a high school teacher. This morning, he sent me a text message. It was a photo of Clayton sitting at his desk with my book. My friend told me he had to tell Clayton to put the book away and pay attention in class. It was quite funny, and of course flattering, but it was also truly one of the most wonderful outcomes that I could ever hope for concerning someone acquiring my book. There's a reason most storytellers and dungeon masters believe that no one can run their game for their group better than they can. It's because it's usually true. Game runners learn what their players want and need, and they cater to it. Mike Mearls could show up at my local game and would probably not run the game as well as I do. Mearl's is a stellar DM, one of the best, and no one would argue that – he's certainly more talented than I am. But he doesn't know my players like I do. I'm the one with the boots on the ground, in the trenches with these friends every week, and no one else can understand our game without having that same experience. Clayton runs a great game. His friends love playing in the adventures he is running for them. And I believe that no one can run a game for that group of players better than Clayton can. The wonderful thing is that, even though that's the case, he still knows he can do better and wants to learn how he can make his game even more fun. He's not afraid to admit that others may have different experiences than he has had that he can learn from to make his own game better. I'm proud of Clayton, and he's an example we should all consider following. He knows that no one can run his game better than he can, but he still wants to learn to run it even better. Isn't that the DM we all want to play with?